Since BP almost destroyed the Gulf of Mexico, achieving the same negative rating is quite an accomplishment. 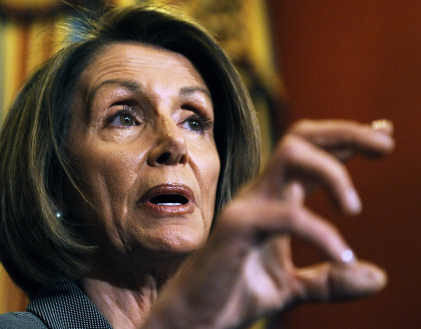 House Speaker Nancy Pelosi was up to the job. Pelosi's negative rating is precisely the same as oil giant BP, which has taken a public relations beating in the aftermath of the Gulf oil spill.